Building a successful budget is a key component in accounting, and nonprofit accounting is no exception. Whether you are just starting a nonprofit or have been in existence for years, your organization requires a budget. A good budgeting process engages those who are responsible for adhering to the budget and implementing the organization’s objectives in creating the budget. Generally, the larger your organization, the more complex the process may be, including the need to create multiple project or department budgets. But even a one-person shop needs a budget that details the basic income and expenses of the organization to appropriately plan for donations, grants, and other sources of income. Your annual budgeting process should be documented with tasks, responsibility assignments, and clearly stated deadlines. 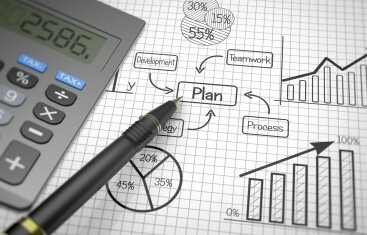 A good budgeting process also states that income is budgeted before expenses and incorporates strategic planning initiatives. Involve Relevant Players : organization-wide cooperation is critical to ensure a smoother budgeting process. Budget for income first: create a realistic projection of reliable income and make sure budgeted expenses are less. Understand revenue source(s): budgeting is a form of risk management, a healthy mix of diverse revenue streams will help keep the organization stable should a revenue source go away. Understand the budget’s relationship to the organization’s short and long range goals: the budget should be consistent with the organization’s stated goals and missions. Budget for capital in addition to operations: a capital budget can run for several years, but a good strategy should be in place to ensure non-operating goals are met. Include notes when appropriate: don’t take for granted that key stakeholders fully understand underlying budget assumptions and be as concise as possible. Provide the appropriate tools: there are plenty of great budgeting solutions out there, even if you plan on using Excel, make sure your “budgeters” are trained. Ensure the budget is presentable: you have worked hard on the budget, make sure others can understand it. Review and revise: the budget may need to change due to unforeseen circumstances, think of it as a fluid document. David is the Lead Solutions Engineer at Blackbaud for our enterprise customers. David has over 10 years experience working with nonprofit organizations to optimize their accounting processes.